Stay Dry Roofing LLC Texas is here to help you achieve the restoration or upgrading of your property that you’re looking for. No job is too big or too small. We personally manage each roof system installation using the latest styles and technologies, restoring residential and commercial roof systems. We also do additions, fencing, patio covers, gazebos, arbors, painting and Owens corning insulation. Stay Dry Roofing LLC Texas is an A+ Accredited member of the Better Business Bureau, having over 20+ years of experience installing all types of roof systems and contracting restoration projects. We believe the ONLY customer is a SATISFIED customer! When you are in need of a new roof, a re-roof or any type of restoration or remodel project, allow the professionals at Stay Dry Roofing LLC Texas to design your next project. 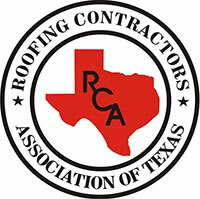 Stay Dry Roofing LLC Texas is also a certified Owens Corning Contractor and we install Owens Corning insulation. Larry is a certified residential and commerical contractor, licensed through the Roofing Contractors Association of Texas (RCAT) License# 03-0202. All types of residential roofing installed with the latest and most modern designs. Commercial roof systems installed by professional, knowledgeable crews; with state-of-the-art processes. New Owens Corning No Itch Pink Insulation installed by certified Owens Corning Top of the Roof Contractors. From small bathroom or kitchen updates to additions, no remodeling job is too big or too small. All types of fencing installed, from Chain Link to Wood to Custom Welded fences and gates. Residential and commercial painting for both interiors and exteriors. Enjoy the outdoors in comfort with our Gazebos and Screen Rooms. We do all types of Gazebos, specializing in the new Alumawood products! We also do additions, from patio rooms to room additions. No job is too small or too large. “My mom’s request for a new roof was denied upon passing away, we were left with repairs to the roof while also needing to sell the house. We feared the expense of replacing the roof. One Saturday, while we were there, Larry stopped by my mom’s house. We discussed the dilema. Under his directions, we filed our claim to replace the roof. Larry met the insurance adjuster, proving damage and was able to get our funding for our roof replacement. The quality of work exceeded our expectations and all was done in a timely, professional manner. The entire work area was cleaned up with no trace that two roofs had been removed and a new one installed in two days. All we can say is Amazing! “Stay Dry Roofing LLC Texas was referred to us by a customer of ours to check out a portion of our roof that was in obvious need of repair. The president, Larry Brown, responded quickly and came out to assess the situation. He immediately found evidence of hail damage and advised us to contact our insurance company. Once the insurance company got involved, Larry worked hand in hand with them to get our insurance claim pushed through. He came out several times to meet with the adjusters and assisted us every step of the way. “After our roof received potential hail damage, I noticed our neighbor had called out Stay Dry Roofing to inspect their roof and make any recommendations. I went over and to see if there was a contact number for Stay Dry on their yard sign. I called the number and Larry Brown answered and informed me he would be glad to come out and inspect my roof. After the inspection revealed substantial damage, Larry walked me through each step of the process for repairs. Larry even came out and met the insurance inspector to address any questions and expedite the process. My wife and I are extremely pleased with our new roof and how it accentuates our home. Larry Brown is very professional, experienced, knowledgeable and a delightful gentleman to work with. Larry is a Christian gentleman with integrity who practices his faith daily. Larry is also pleasant, courteous and a hard worker who thoroughly explains himself and exactly how he intends to provide the solutions I require. It is rare to find this quality in our service industry today. Larry is certainly exceptional. To say that Larry Brown is “One of a kind” I would have to agree with wholeheartedly! My father always told me it doesn’t cost a dime to say “Thank You”, and that simple gesture will do more to foster good than almost anything else you can do. I also feel we are so quick to lay blame and point out what is wrong and we neglect to simply recognize and appreciate what is done correctly and with commitment and integrity.